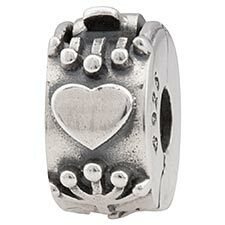 Heart motif clip for keeping your beads on your PERLAVITA bracelet. Intricately detailed and adorned with subtle accents, this clip features a bright and oxidized sterling silver. 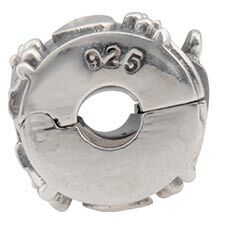 Approximately 9.5mm x 6mm x 9.5mm.